Technically speaking BitCoin has come back to life. We do not trade BitCoin futures but thought the following AMS generated graphics were worth your time. 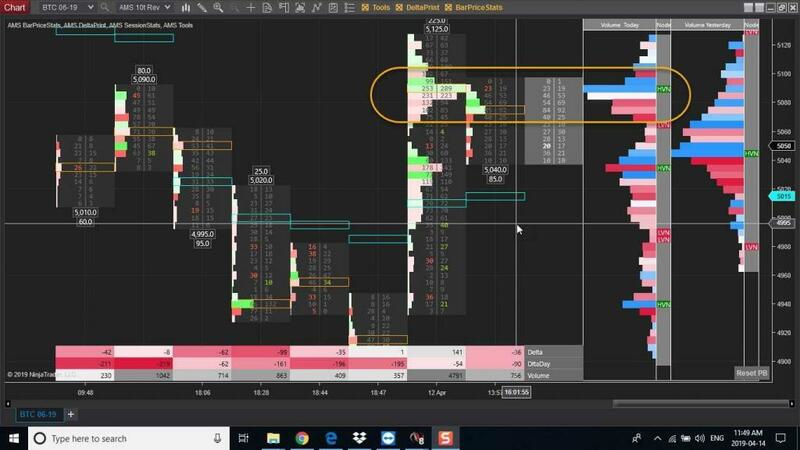 Using our MarketProfile tool we see two distinct support / resistance levels have developed and will provide traders guidance above, below and in between. Happy to be more specific with you personally about all that is revealed on this screenshot once you have downloaded our trial membership then email us at support@amstradinggroup.com. In the next screenshot we use DeltaPrint to reveal more recent trade based information. 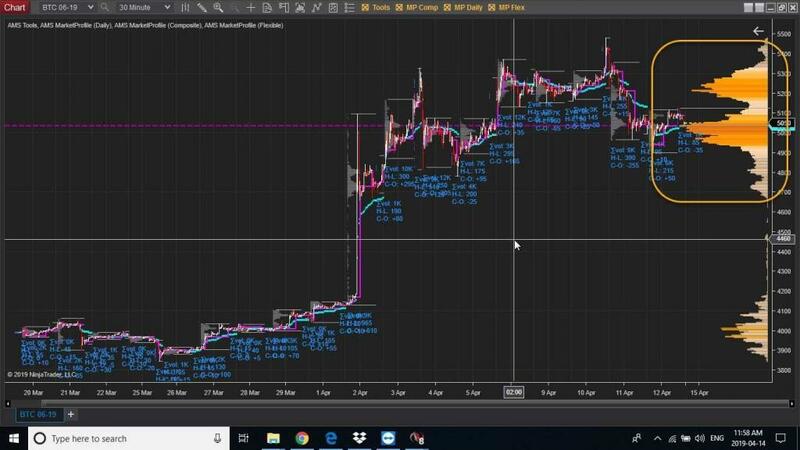 Lots of trading in the last hour with the final ticks holding just below what is shaping up to be a resistance level that undoubtedly will be tested. Perhaps BitCoin is back as a trading vehicle and if you trade in this arena the AMS DeltaPrint (c) tools are well worth your time. Want to take a “test drive” of the AMS DeltaPrint go to www.amstradinggroup.com and click on the 30-day free trial (no credit card required) and take advantage of the direct one-on-one start-up tutorial services we provide at support@amstradinggroup.com.